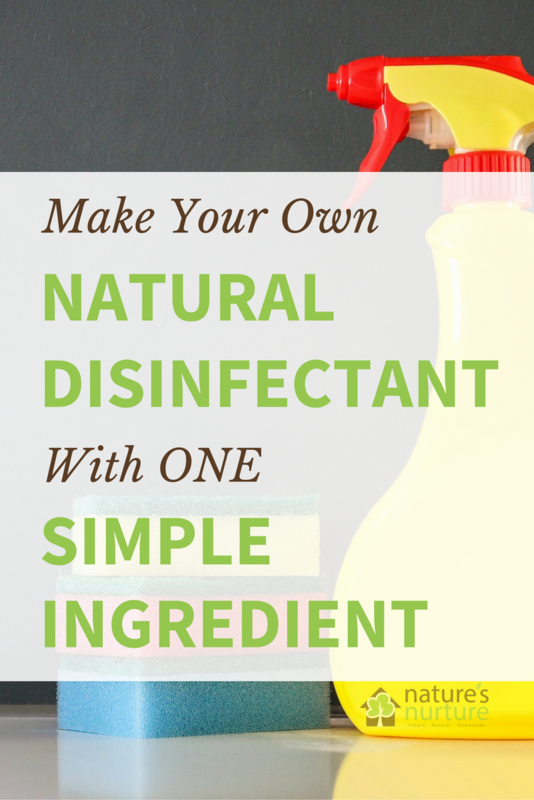 Homemade Natural Disinfectant With ONE Simple Ingredient! 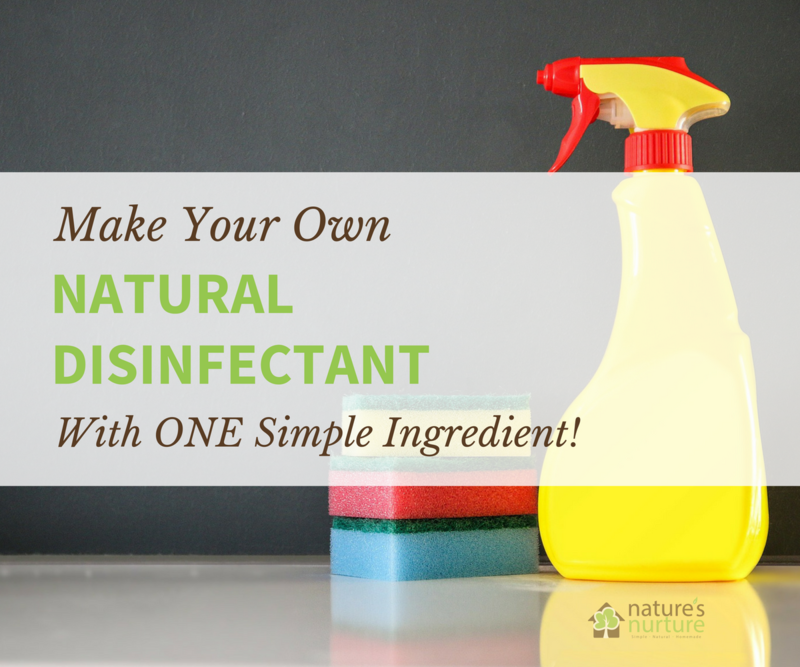 Ditch the bleach and toxic fumes, and learn how to make this natural disinfectant with a simple ingredient you probably already have at home! Raw chicken on the cutting board? That downstairs bathroom that’s shared by six kids? Your toddler’s toy that’s been mouthed and sneezed on more times than you can count during his week-long bout with that nasty virus that’s finally made it’s way out of your home? 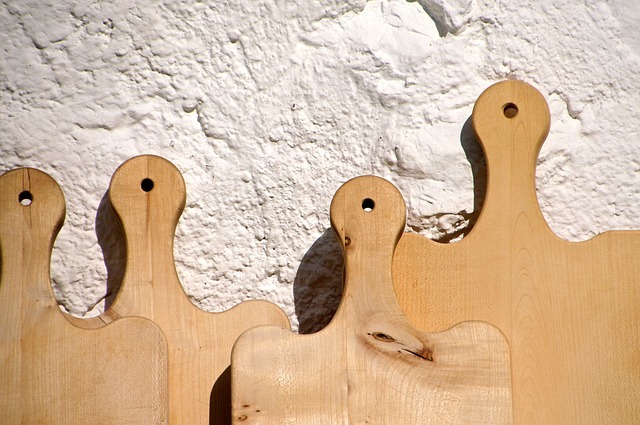 For better or for worse, germs are everywhere. And while some germs are actually good for us and help build up our immune system, others can really do a number on us. One of the biggest misconceptions about non-toxic cleaners is that “they don’t kill germs” as well as the commercial cleaners. So you’ve probably resorted to the old standby in times of germ-killing need: bleach. That stuff is powerful, isn’t it? 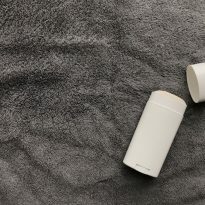 It kills germs, it whitens fabrics, and you can use it to clean pretty much any surface in your home. But the reality? Bleach can be a little too powerful for everyday jobs. And it comes with a long list of side effects and health hazards. 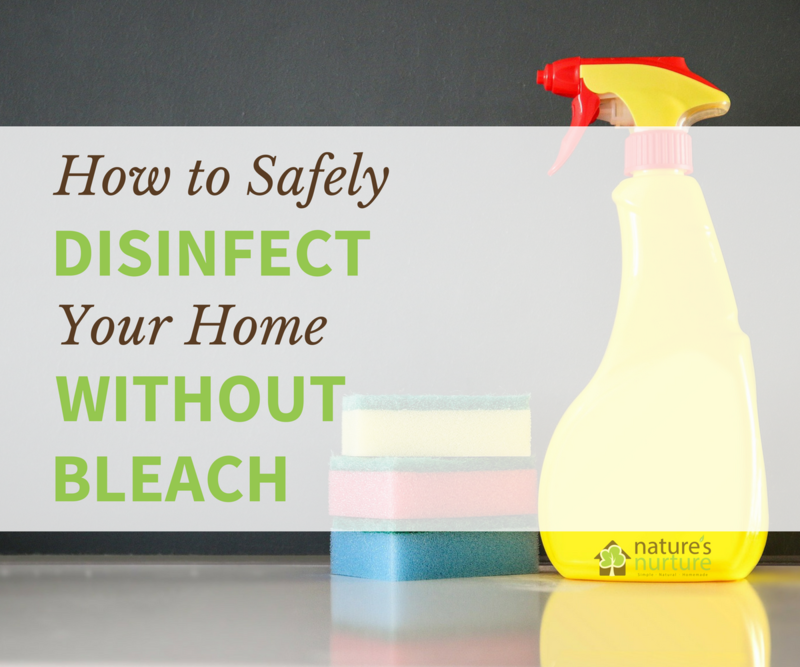 What can you use as a natural disinfectant for surfaces that really need it, without having to deal with the harmful side effects of bleach? And the best part? Compared to most other chemical disinfectants, peroxide is safe, non-toxic, and breaks down into just water and oxygen. But its effectiveness really depends on proper use and storage. By far the most common use for that trusty peroxide spray bottle is as a finishing spray after you’ve cleaned surfaces in the kitchen and bathroom. After using this all-purpose cleaner and some baking soda to clean and scrub counters, sinks, toilets, etc. – give those surfaces a quick spray of peroxide and just leave it to dry. Directions are really simple for this one: spray one (either peroxide or vinegar), immediately followed by the other, and let them sit on the surface for 5-30 minutes before rinsing off. It doesn’t matter which one is sprayed first, just make sure they are sprayed separately, and that you do NOT combine the two solutions into one bottle, which can create an unstable product. NOTE: Whichever technique you choose, this method will only reduce germs to a safe level, but it will not completely disinfect the area. Personally, I’m ok with this, but use your own judgement. 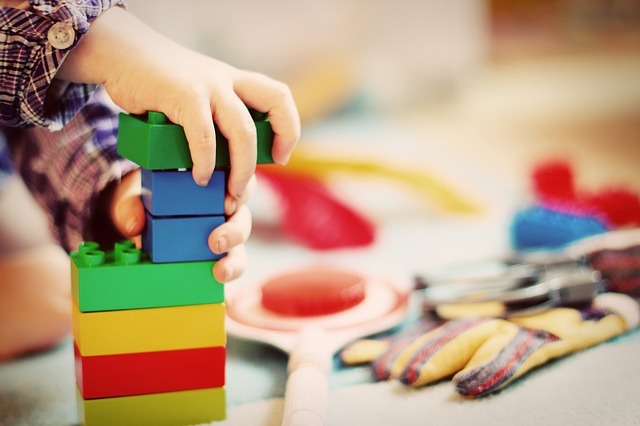 Whether you buy a lot of second hand toys, or you run a daycare out of your home, you’re going to need to properly disinfect those shared toys at some point – especially during cold/flu season. Either spray them with undiluted peroxide, wipe them down with a peroxide-dampened cloth, or give them a good soak in a sink filled with water and some peroxide for at least 30 minutes. Use your judgement to decide how much to dilute here. After a nasty cold or flu has passed through your home, grab your bottle of peroxide and spray down the common surfaces where germs like to lurk: light switches, door knobs, fridge handle, faucets, etc. Just spray it on, and leave it to dry. It’s a good idea to soak your toothbrushes in a peroxide solution for about 30 minutes as well. Every week or so I pour some peroxide into a small jar and soak my sponges and brushes in it to clean and disinfect them. Let them soak for a good 20-30 minutes, making sure the items are completely covered with peroxide. Then, rinse them with water, and they’re ready for the next use. This works great for kitchen sponges and brushes, bath loofahs, and even pumice stones, nail clippers, and other bath and shower tools. I’m sure you’ve dealt with your fair share of messes and accidents from your kids and pets. Vomiting, urine, and feces are no fun to deal with, but after cleaning the area thoroughly, go ahead and spray some peroxide and let it sit on the surface for 30-60 minutes, or until dry. Peroxide must be stored in a dark, opaque bottle because it breaks down and loses it’s effectiveness when exposed to light. Just keep it in the dark bottle it came in. You can also try screwing a spray bottle top directly onto your peroxide bottle, or buying one with the spray top already attached, like this one. If you do need to transfer it to another bottle, then wrap that bottle with a brown paper bag, and secure it with a rubber band to protect it from light. 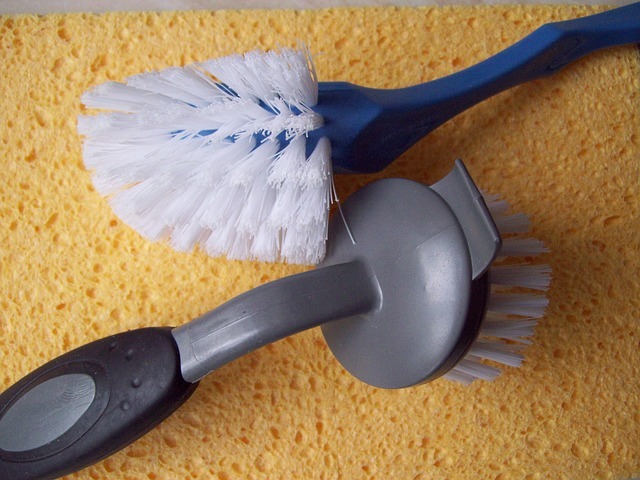 So simply brushing off, wiping up, or rinsing off your surface is a crucial first step. Washing the surface with soap and water is also a good idea, especially if the surface is greasy or grimy. If you do rinse your surface with water, you’ll want to dry it before spraying the peroxide to get maximum disinfecting power, but it’s not always necessary. In order for any disinfectant to work effectively, it has to be left on the surface for the right amount of time to be able to work and actually kill the germs on that surface. 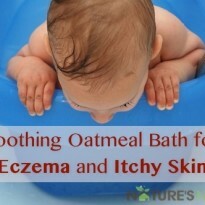 That amount can vary depending on the surface, the germs, and the disinfectant, so the safest bet (i.e. my lazy shortcut) is to just spray it on and leave it. Peroxide does have the ability to lighten fabrics and surfaces, though it’s nowhere near as strong as bleach. Still, you should use caution if spraying it on or around fabrics, upholstery, or anywhere that could accidentally be “bleached” in the process. If you’re worried about a specific surface, just do a spot test first. Germs are a part of life, and for the most part they’re pretty harmless and help build up our immune systems. We don’t need to completely eradicate them from our homes, but we also don’t want them taking over our living spaces. 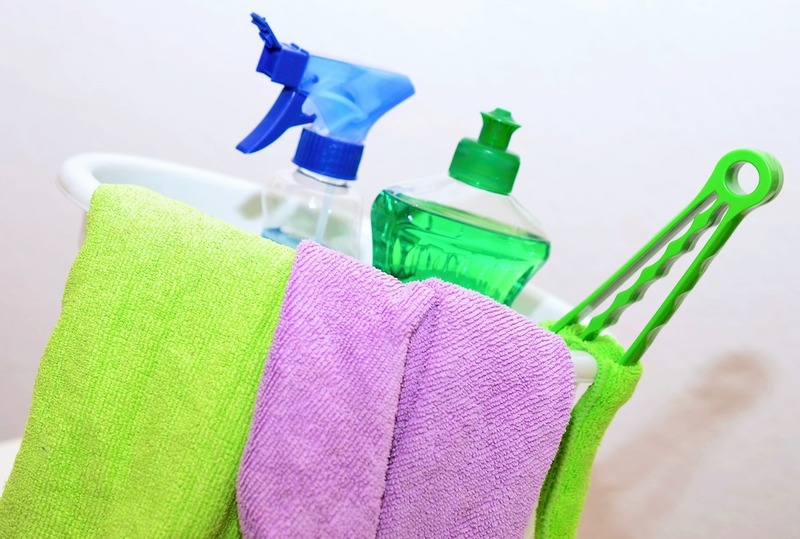 When you do need to disinfect your home, remember that cleaning the area is always your first line of defense. 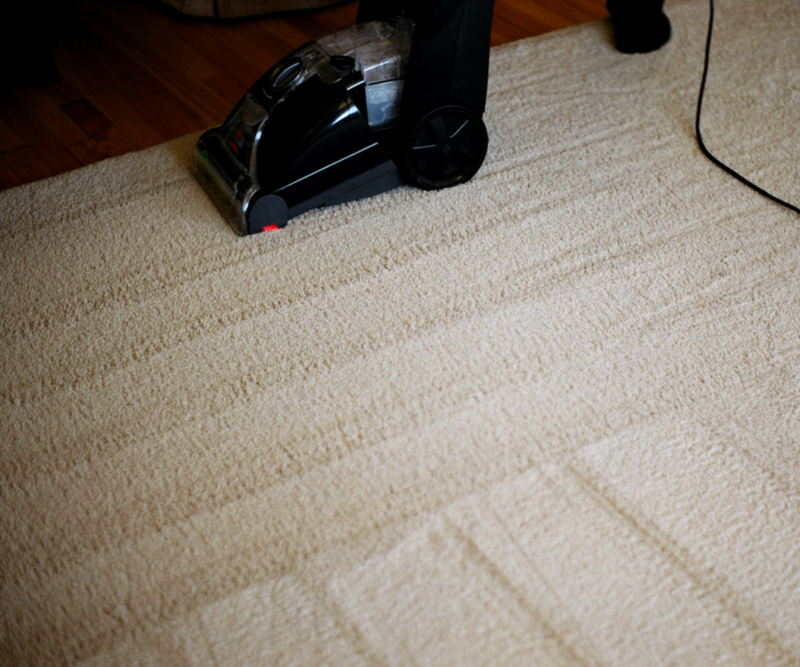 Then, you can properly disinfect the area and finish the job. 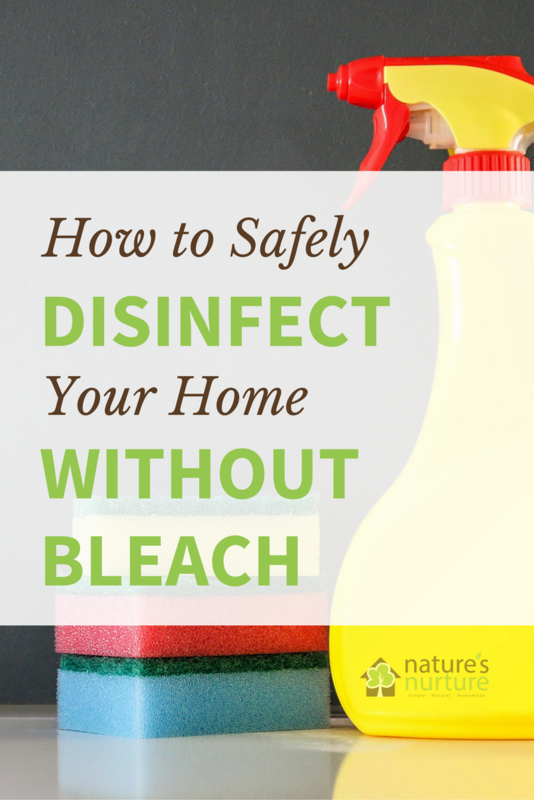 Put away that bottle of bleach – and all the harmful side effects that come with it – and reach for that bottle of hydrogen peroxide as a natural disinfectant instead. 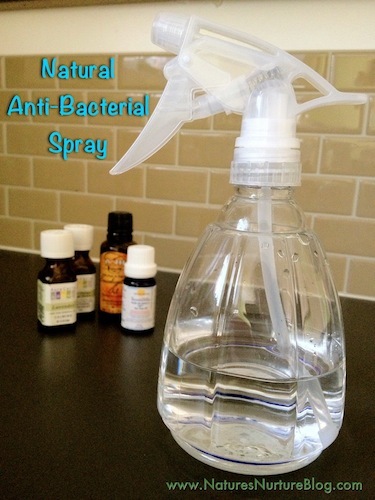 What do YOU use as a natural disinfectant in your home? Do we use it undiluted or we add it to water? As mush as possible, you want to use it undiluted since it’s already pre-diluted for you. My favourite way to use it is by spraying it on clean surfaces and letting it air dry. I heard about hydrogen Peroxide but wasn’t sure how to use it…now I do! I have slowly over time become a hydrogen peroxide fan. I use it to do everything from lightening my grey hair, brushing my teeth and as a stain remover for organic stains like tomatoes and wine. Thank you, as now I have more ways to use it. Just an FYI, to keep it away from light, I just buy those metal spray bottles as they keep out the light and seem to keep the fizz in. I love your blog and have picked up many great ideas from you. Thanks, Carol! That’s a great tip about the metal spray bottles! Is hydrogen peroxide okay to clean granite countertops with? 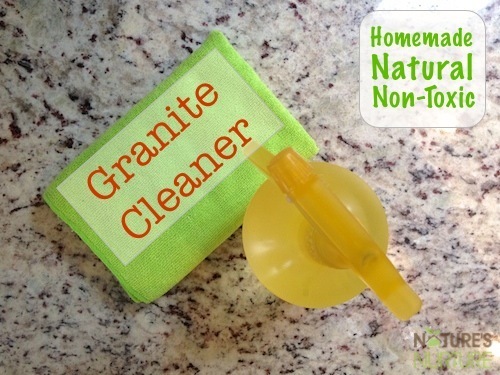 It sounds safe for most surfaces but I see that you use alcohol to clean granite with. Honestly, I haven’t found enough conclusive info to give you a definite yes for this one. I know peroxide can be used to remove stains from light-coloured granite. I also know that peroxide is a weak acid, but it’s still an acid, so I’d be concerned about longterm use since it may etch the surface overtime. Alcohol, on the other hand, is neutral, which makes it much safer for granite and other natural stone surfaces. So long story short: If you use peroxide a few times to remove a stain, you’re probably ok. But for regular, everyday use, I’d stick with the alcohol. Did you know that you can kill mould using Clove oil? It is safe and kills the roots of black mould. Bleach simply removes the evidence, but it will regro. Clove oil kills it – dead! Then you need to clean off the evidence, but it won’t regrow for a long, long time. That’s very interesting, I’ll have to look into this! I just started experimenting with peroxide, bought from a nearby store, added a few drops of scented oil. I did not know that peroxide disintegrates when exposed to light. When I tried to open the bottle in which I had stored, bubbles had formed and the stopper hit the ceiling spilling the liquid. Lesson learnt. I have been using Peroxide for years. I buy 20 volume CLEAR developer from Sally Beauty Supply store (peroxide). It is stronger than the brown bottle thats 3% and works great only $8.50 a gallon. I breed dogs and I recommend to all my puppy buyers to mix 1/3 peroxide with 2/3 water in a spray bottle and use it to clean up pet stains. I also use 1/2 cup in every load of wash. Fill the bleach container with it. Have never had any fabric discolor. I have put this in my rug cleaning machines instead if the cleaning products you are told to use and it’s amazing how beautiful the rugs come out. Peroxide dissipates the urine or blood doesn’t just cover up the smells. What strength percentage wise of peroxide do you use? I use 3% which is what you’ll find in most pharmacies. Thanks, Sarah, I always take your word seriously that you are not in business like most other people out there. Keep up the spirit, you are a gold and it is hard to find one. I also like to use HP in my homemade all-purpose cleaner. I use about 1 cup HP, about 1/4 cup of wintergreen scented isopropyl alcohol, a squirt of dish soap (or castile soap as I am now switching to using castile for dishwashing soap as well), and approximately 1/2 cup water. I have been using this for years and love it. I clean my entire kitchen, bathroom, windows, floors, any surface that needs cleaning, with this. I also use full strength HP to disinfect cutting boards and my kitchen sink if I’ve been cutting/processing meat. I’m getting so much great information on healthier, non-toxic living from your blog, thank you so much! I look forward to your updates in my email all the time! Blessings to you! Rebecca, you are so sweet! And that sounds like an interesting recipe; I’ll have to try it! Where do you get the wintergreen scented isopropyl? I knew about hydrogen peroxide, but I’m struggling with the differing strengths that are available. Which one is most effective? Is it as simple as the stronger the solution the better? That’s a great question, Louise, and one that I should I address in the post. Most of what you can buy at the store is either 3% or 5%, and that’s what I would recommend that you stick to. Peroxide can go up to 35% for industrial settings, but the higher the concentration, the more dangerous it can be and requires special handling. So for cleaning at home, I wouldn’t go higher than 5% if you can find it. Hope that helps! I’ve been using H2O2 for a couple of years as a replacement for bleach. I find that it works a treat! 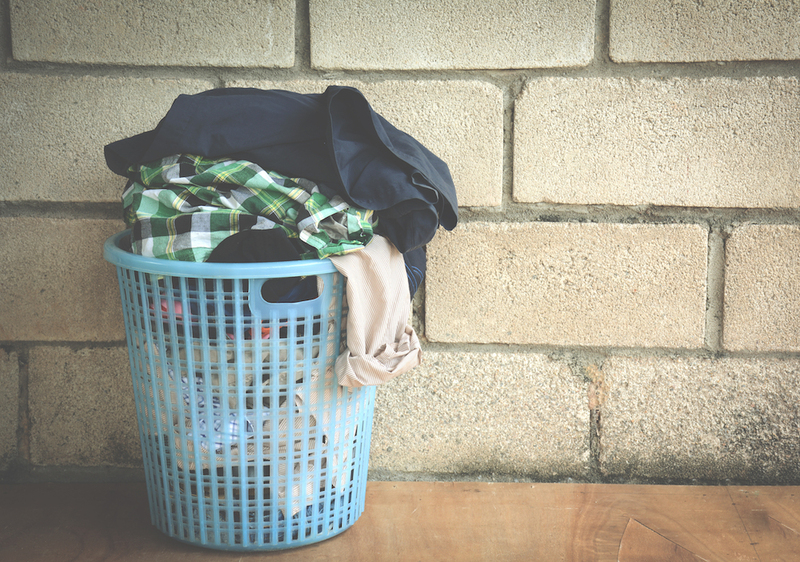 I add it to the laundry – using the bleach dispenser and it not only gives the detergent a boost with the clothes, but it helps keep my front load washing machine clean and smelling great. I’m so happy that you stressed amount of time that you need to let the H2O2 stay on cutting boards and counter tops to be the most effective germ killer. That is such a key thing. Thanks for your blog, I read you all the time and appreciate the insight you provide in my quest to run a toxic free home. Sarah, this’s such a great article! Love your citation and sources. Very thorough and informative. I’m ordering some hydrogen peroxide now. I’ve been hesitant to use bleach because of its strong odor, and wasn’t using anything for disinfectant. Thanks for all this info! Thank you Sara. Yours is one of the few home/how to websites I regularly follow because I respect your focus on cleaning products/processes validated by research, as well as your succinct and well written articles. Here in the Alaska bush, I use vinegar for cleaning and HP for swishing my mouth, but now, thanks to your article, I will try HP for cleaning some items as well, starting with the toothbrushes (duh!) and dishwashing brush. Have a great day. Hi Sarah do you dilute the peroxide with water or do use it straight peroxide??! Nope I just use straight peroxide. You could dilute it, but of course you’d also be diluting it’s strength and effectiveness. Depending on what you’re using it for exactly, that may or may not be strong enough.